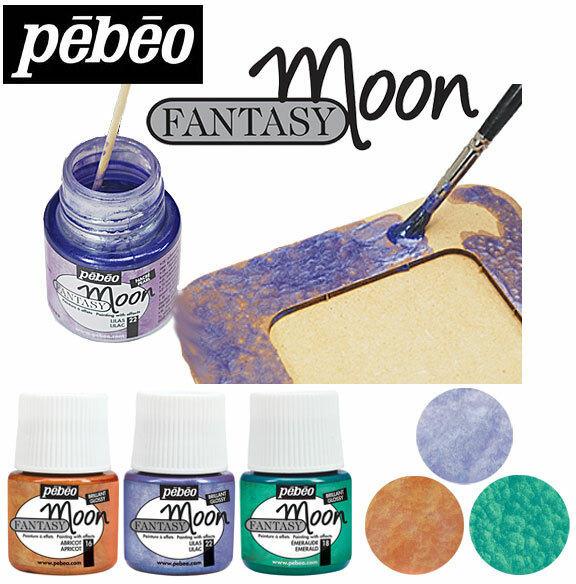 Try Pebeo Fantasy Moon Paints when you want to add a little "touch of fantasy" to your handcrafted creations. Available in a variety of mixable, brilliant colors, including pearlescent and metallic shades, they can be used to create an opaque, marbled effect on almost any surface, including glass, wood, Plexiglas, canvas, ceramics, metal, and more. 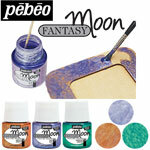 Fantasy Moon Paints can be used alone, over Pebeo Vitrail transparent or opaque colors, or with Fantasy Prisme Paints. 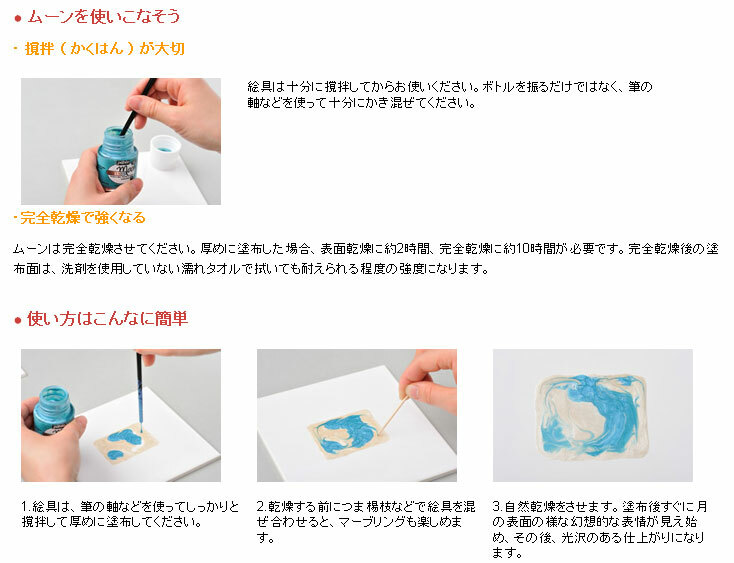 They can be mixed, brushed, dripped, or combined to create beautiful effects. When applied with a Fantasy Plastic Dropper, they create a hammered, textured appearance with a pearlized, smooth finish. 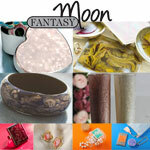 Fantasy Moon Paints are great for jewelry making, home décor pieces, or objects of art. They dry within 10 hours to a glossy, hard finish. 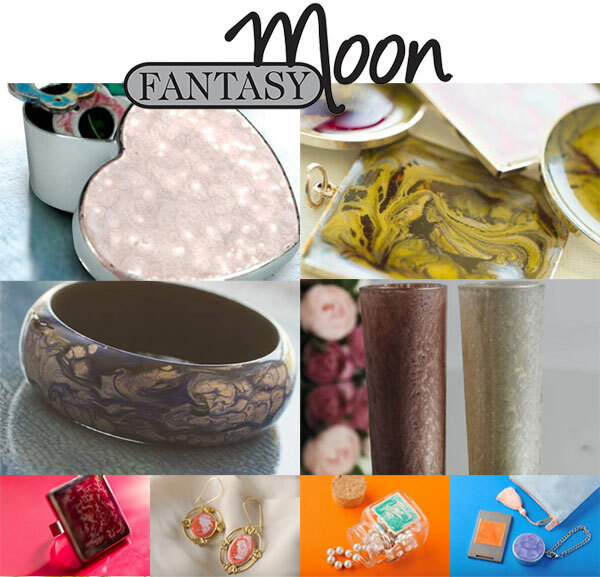 Discovery Set — This set includes six 20 ml bottles of Fantasy Moon Paints, including one each of Apricot, Veil of Smoke, Carmine, Metal Blue, Turquoise, and Gold.